Access your e-mail on Android - Outlook for Android. If you haven't already, you can download Outlook for Android from the Google Play Store. Tap Get Started if it's your first time. Or, go to Settings > Add Account > Add Email Account. 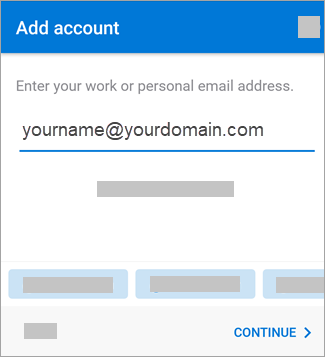 Enter your full email address, then tap Continue. 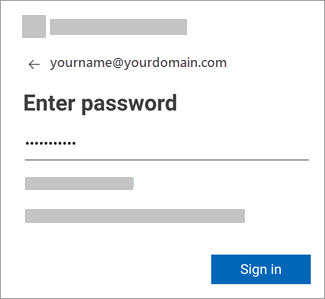 Enter your email account password and tap Sign In or Next. Note: The sign in screen may look different for you depending on your email provider. If you have 2-step verification turned on, identify yourself using the method you chose (6 digit code, phone, or using the Microsoft Authenticator app. Outlook may request permission to access your calendar, contacts, etc. Tap Yes or Allow. You're now ready to use Outlook for Android!